Dealing with a small bedroom doesn’t have to take away from its cozy and warm feel. What’s more, you can get the pleasant environment you’ve been hoping for a lot easier when small-sized rooms are concerned. However, you still need to think about the furniture layout and utilizing the space to the fullest. That way, you’ll create more space and make the bedroom appear visually bigger. There are plenty of helpful tips on this matter, so keep on reading to find out more. Your bed is the essential part of your bedroom, regardless of its size. Therefore, it’s important to know how to choose the perfect one for your small bedroom and how to place it properly. Take a look at the corners. Is there enough room to place your bed there? On the other hand, even if your bed would take up almost every inch of floor space in your bedroom, you have to consider to what extent the walls can be utilized for storage. In any case, beds that have their own storage drawers are essential for small bedrooms. Unless, of course, you want to go for a folding bed. The best way to effectively minimize the use of floor space is to add additional wall storage. Shallow built-in shelves, as well as floating shelves, are perfect in this case. If your bed takes up the most of your bedroom space, as mentioned before, using the empty wall above the bed for hanging cabinets and small floating shelves instead of nightstands is a great way to get your small bedroom as functional as possible. In general, with plenty of shelving and cabinet units on your walls, you will effectively deal with the lack of storage options without taking the essential space in the bedroom. Mirror reflection is known to make any room appear visually bigger. That being said, using mirrors on your wardrobe and cabinet doors can effectively brighten up the room and make it seem more spacious. 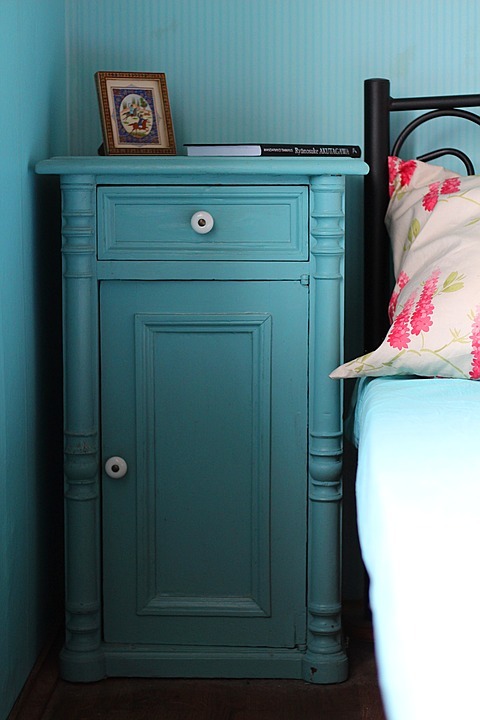 This is a great trick for small bedrooms. In case you don’t like the idea of covering your wardrobe and cabinet doors with mirrors, you should still hang a mirror wherever you have an empty space on the wall. Together with plenty of natural light, your small bedroom will feel more pleasant and definitely bigger. You may find it strange to find a tip that involves doors when talking about your small bedroom tips and tricks. 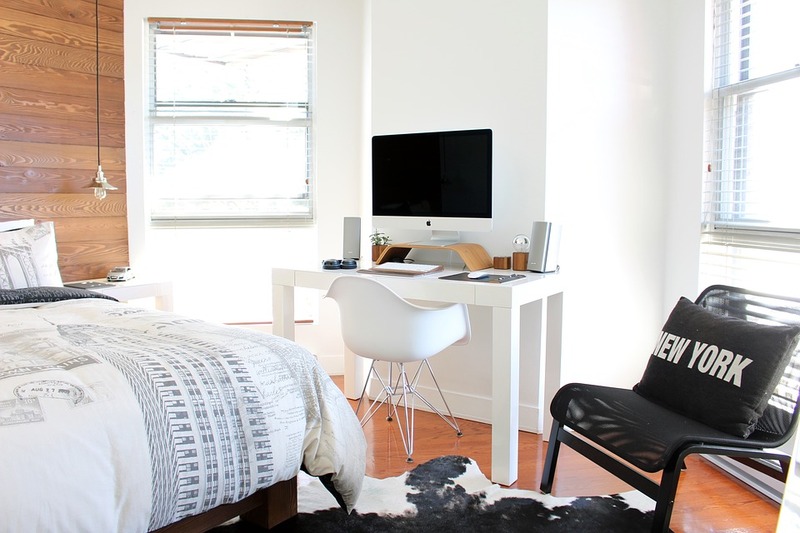 However, the way your door opens can significantly influence the organization and layout in your small bedroom. In order to avoid the problem of the door not being able to fully open or preventing you from adding essential furniture pieces in this area, go for sliding doors. Some of the world’s biggest cities use this particular type of door in their houses since the population grows constantly and the popularity of small apartments is on the rise. For example, you can easily find different styles of sliding doors in Sydney precisely because of this trend. Minimalism is the trend that can suit everyone’s needs. It’s all about what you think minimalism means to you. That being said, this particular home décor trend can come in really handy when you want to organize your small bedroom in the most efficient and aesthetically pleasing way. Basically, even if you have plenty of space, stuffing it with clutter and décor can make it look smaller. Then you can imagine what this can do to your already small bedroom. Add a touch of personality with your choice of colors and a detail here and there, but refrain from decorating this space too much with actual décor pieces. 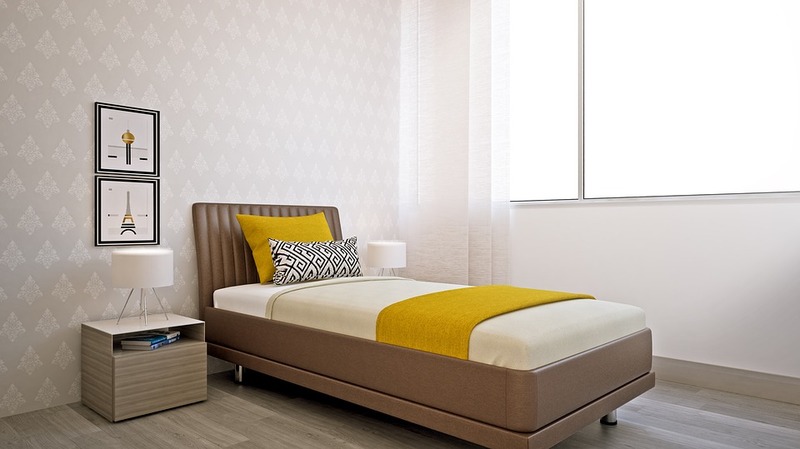 The best way to go about your small bedroom color scheme is to opt for bright and neutral colors. However, this is not a rule but more of a guideline. Even if you have to deal with small bedroom space, the most important thing here is to stay true to your personal likes and taste. If you apply some of the above-mentioned tricks, you will surely have the spacious bedroom you’ve always wanted. 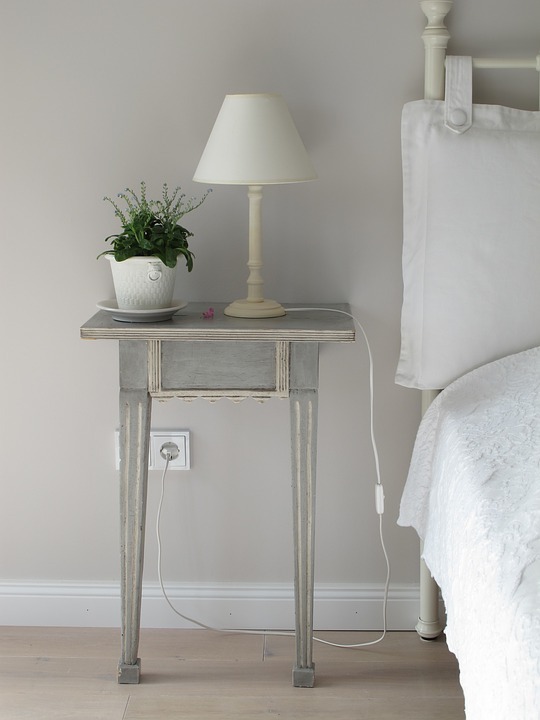 Great post on the Bedroom, I would just like to add, that an Air Purifier with True HEPA would transform the perfect bedroom into a health and wellness sanctuary. Breathing clean air at night, gives you a fully rested sleep, and much needed health. Feel free to contact me at anytime, for information on AllerAir’s line of Air Purifiers.